Amid a media barrage to try to drum up public support for US-led military attacks on Syria and North Korea, the corporate media and the Turnbull government have launched an extraordinary vilification campaign against academics seeking to expose the lies behind last week’s US cruise missile strike on Syria. The witch-hunt is an open attack on basic democratic rights, above all free speech—accompanied by demands that the University of Sydney censor, discipline or sack staff members for even calling into question the pretext for the illegal attack ordered by US President Donald Trump. 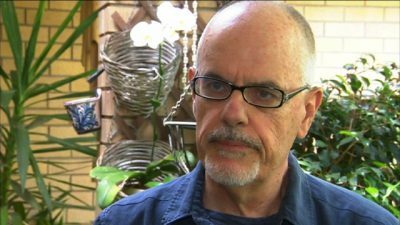 Clearly, there are deep fears in ruling circles about the publication of any information or criticism that lays bare the false justification for the US aggression and points to the record of similar fabrications concocted by the US and its allies, including Australia, to justify their endless predatory wars in the Middle East. For decades, Australian governments have endorsed every such lie perpetrated by Washington, including the “weapons of mass destruction” fraud used to invade Iraq in 2003. The initial target of the political witch-hunt has been University of Sydney economics and international politics lecturer Dr Tim Anderson and other academics associated with his online Centre for Counter Hegemonic Studies. After the missile attack, Anderson posted social media comments pointing out there was no independent evidence, or plausible motive, to accuse the Syrian government of conducting the alleged April 4 sarin gas attack that killed 87 people in the town of Khan Sheikhoun. Anderson suggested that the gassing was more likely to be another “false flag” atrocity committed by US-backed, Al Qaeda-linked outfits. 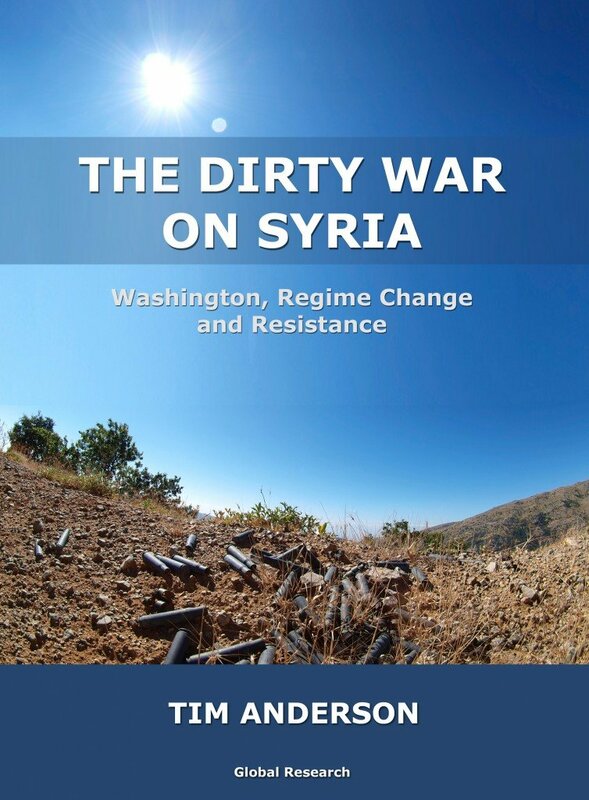 They have previously made similar attempts to trigger US intervention to oust Assad, such as the 2013 Ghouta chemical weapons attack that was later systematically exposed by veteran American journalist Seymour Hersh. Backed by denunciations of Anderson issued by ABC and Guardian journalists, the program sought to discredit him by making an amalgam between his postings and others by extreme right-wing sites and mouthpieces for the Sryian and Russian governments. Rupert Murdoch’s media outlets, such as the Sydney Daily Telegraph, blazoned the accusations against Anderson over their front pages, under headlines depicting him as an “Assad-loving boffin” and his associates as “uni loonies.” The Australian, Murdoch’s national broadsheet, attacked the University of Sydney for refusing to act against them. Turnbull’s Education Minister Simon Birmingham, who is responsible for university funding, told the Daily Telegraph the university should investigate Anderson’s comments. “Although universities are places where ideas should be contested, that’s no excuse for being an apologist [for the Assad regime],” he insisted. The clear logic of this declaration is that anyone who questions any aspect of US or Australian foreign and military policy is guilty of supporting war crimes and should therefore be sacked, or even prosecuted under war crimes or anti-terrorism legislation. Fairfax Media extended the offensive to the University of Sydney itself. “One of Australia’s most prestigious universities” was at the centre of a “pro-Assad push,” the Sydney Morning Herald’s Michael Koziol declared. There are signs that the barrage may backfire. The ABC’s smears provoked outrage among its viewers. One typical comment posted on “Media Watch’s” web site denounced the program for emulating other media “megaphones” in producing “not one shred of evidence to back the claim that this event was perpetrated” by Syria. The WSWS has fundamental political differences with Anderson, a longtime supporter of bourgeois nationalist regimes such as Assad’s. Nevertheless, we unconditionally defend his right, and the right of all academics, political activists, workers and students, to oppose the drive to war and to exercise freedom of political expression. Independent federal parliamentarian Andrew Wilkie this week also questioned the US charges against Assad. In 2003, Wilkie resigned from the Office of National Assessments, a top-level intelligence agency, in an attempt to expose the “weapons of mass destruction” and other lies being used to justify the US-led invasion of Iraq and Australia’s involvement in it. In reality, rather than being duped, successive Australian governments have willingly joined one “false flag” US-led war after another in order to secure Washington’s backing for Australian imperialism’s own mercenary operations in the Asia-Pacific. The witch-hunt against the academics is part of a broader attempt to suppress anti-war sentiment. Last week, the Turnbull government revoked the visa of a prominent Palestinian activist, Bassem Tamimi, to prevent him from addressing public meetings in Australia. The bid to silence public discussion is a warning. More than 15 years after the declaration of the “war on terror,” the unending war drive by US imperialism is entering a potentially catastrophic stage. Having already devastated much of the Middle East, Washington and its partners are planning even more aggressive actions, posing the danger of direct military conflicts with nuclear-armed Russia and China. The building of a global anti-war movement of the working class, armed with a socialist perspective, is the only way to prevent a disastrous conflagration. To order Tim Anderson’s book directly from Global Research, click here or click front cover of book. To order this book directly from Global Research, click here.